Last Veteran’s Day I got the chance to attend the Fresno Veteran’s Day Parade with my fellow Ambassadors. The day before we had spent time at Fresno State having Fresno State students, faculty, staff, and visitors sign a We ❤ Our Veterans poster. Most of us had never been to the parade, but we thought it would be a perfect opportunity to show our support to veterans. We all met up at Fresno State with our sign and drove downtown, setting up shop right on a corner where veterans in the parade would most easily see us. We had many heartfelt thank yous said to us as veterans walked by our sign, some family members of the veterans would even point out the sign making sure that their veteran saw it. After the parade we didn’t want to just crumble up the sign and throw it away – we wanted to give it to someone and I knew just the person to give it to, Rudolph Giannoni. When I think about what lifelong service looks like, my first thought is always my friend, Rudy. Rudy was born on April 18th, 1923 and twenty years later in 1943, though he was not eligible for the draft, he enlisted in the United States Army Air Force. Rudy was a Staff Sergeant left waist gunner on a B-17 Bomber. On June 17th, 1944 on his seventh mission over Misburg, Germany, his plane was shot down. Rudy spent the rest of the war as a Prisoner of War at Stalag Luft IV in Poland. During the coldest winter on record at the time Rudy was sent on the “Black Death March” walking from Poland to his Liberation in May of 1945. Upon coming home Rudy got married and he also began working for Kraft Foods, retiring after 37 years of service to the company. Rudy didn’t begin talking about his life as a POW until one of his granddaughters asked him questions about World War II for a school assignment. Once he began talking and educating others, he couldn’t be stopped. Rudy has made over 70 visits across the Central Valley to many elementary schools, high schools, clubs, and various organizations – the theme of his visits was always, “Experiences as a POW in World War II”. Rudy spent a lot of his time serving at the Central Valley VA Hospital. Rudy was a member of the Fresno Chapter #1 of Ex-POWs, Purple Heart Chapter, American Legion Post 509 and 4, and was also on the Fresno Veteran’s Day Parade Organizing Committee. Rudy has also played an instrumental part in organizing the fundraising efforts to erect an Ex-Pow Monument at the VA Hospital in 2009. In 2013, he was part of the first Valley Honor Flight to Washington, D.C. and the World War II Memorial. On Rudy’s 90th Birthday he took a flight in a B-17 over Fresno, was recognized with the “Key to the City of Fresno,” and all of this was televised on NBC Nightly News. Rudy was given the French Legion of Honor Medal. In June of 2015 he was awarded the Lifetime Achievement Award from VA Central California Health Care System. Rudy has been a part of my life since before I was even thought of. When my mom was fresh out of college she took a job at Kraft Foods, her position was the one that Rudy was retiring from. My mom spent a couple of weeks learning the ways of Rudy. Rudy was a lovely Italian man that always stood up straight and always greeted you with a hug and a kiss. Rudy and I were pen pals from the end of my 8th grade year to the end of high school. Rudy was one of the few people who looks into a person’s eyes and sincerely listens. This man had a brain filled with knowledge and a heart full of love. And he was always willing to share. I could never be sad around Rudy because he had this incredible personality that was so contagious. Rudy helped show me the importance of love of Country and of Veteran’s Day. On this day, not only do I think of Rudy, but also the past, present, and future men and women who sacrifice their lives for the protection of others. Although Rudy is no longer with us and I can’t visit him on Veteran’s Day, his spirit has left an incredible impact not only on my life, but on all the lives of those who ever had the pleasure of meeting such an outstanding person. I will never forget my Rudy and I will always remember to thank my Veterans. I hope each one of us can take the time, today and everyday, to thank the ones that protect us. How are you going to thank a Veteran? Do you have a Rudy in your life? Community service and charity has the opportunity to create a positive, altruistic image for an individual or a business. Donating your own time to help others in need shows public-spirited character, demonstrates a willingness to change the community for the better, and allows an individual or business to give back to benefit the community. Sports organizations, in particular, strive to create this reputation and offer many different programs and groups catered to service. The NFL and NBA, two of the most popular sports in the United States, offer crowds of service opportunities and have numerous athletes who take the time to make the community a better place. The NFL understands that contact football can be a dangerous sport and have been working with many different organizations to help raise awareness for player safety. One such organization is the NFL Player Care Foundation (PCF), an independent organization dedicated to helping retired players improve their quality of life. PCF addresses all aspects of life by providing programs and assistance with medical, emotional, financial, and social and community issues. Along with safety, the NFL also works with youth NFL groups including Pass, Punt, and Kick, NFL Flag Leagues, and USA Youth Football to teach the proper fundamentals of the game and encourages all young players to have fun playing in a competitive sports setting. 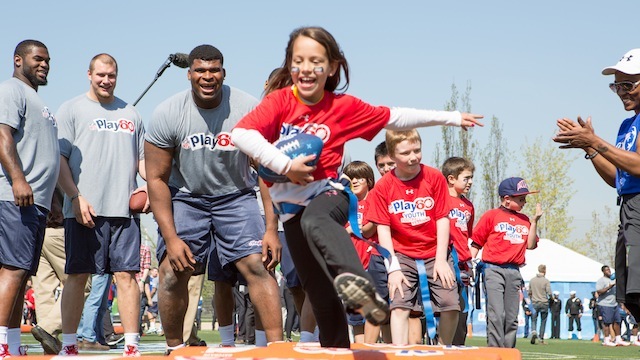 The NFL has also set up NFL Play 60, which motivates children and teens to be active and play outside for at least 60 minutes per day. The NFL holds themselves to a high social responsibility for many issues as well: the NFL has teamed up to promote breast cancer awareness, dangers of driving under the influence, salute to service, and eco-friendly environmental acknowledgement. One such player that embodies the service image of the NFL is Dallas Cowboy’s Tight End Jason Witten. 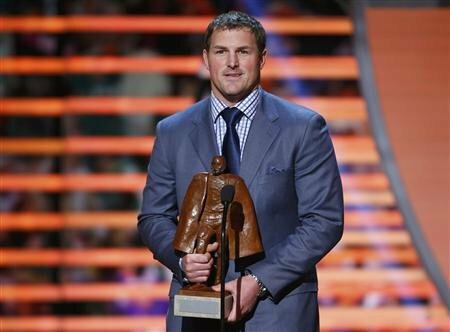 Witten was the recipient of the Walter Payton Man of the Year Award in 2012, which awards an NFL player for their outstanding levels of involvement with the community. Not only has he stayed true to the Cowboys as a premier tight end for more than a decade, attended more than seven Pro Bowls, and has held the team record for most receptions, but he has launched a charity foundation, battles domestic violence through funded programs, has created a learning center program for struggling youth, has been a spokesperson for youth fitness, and has also hosted football camps for the past decade for young athletes. Among all these community honors and awards, the man stays humble, doesn’t complain, is respectful in all interviews, and is all around a genuine and selfless individual. He puts others before himself; he plays the game of football with lots of heart, and is a respectful and likeable person. In the NBA, the league has set up global outreach initiative that aims to address social issues. This season, in fact, as part of the 10th anniversary of its creation, NBA Cares is renewing its commitment to communities around the world by inspiring play and teaching basketball’s values to more than 15 million youth, providing an additional 3 million hours of service to others, and leaving a lasting legacy in communities by building 1,000 more safe places to live, learn or play by 2025. 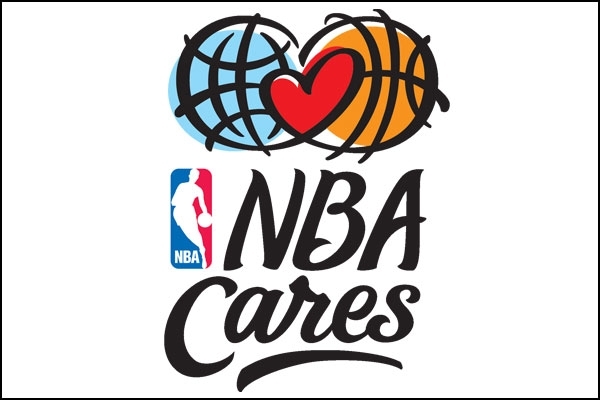 NBA Cares works with youth-serving programs that support education, family development, and health, including: Special Olympics, YMCA of the USA, Boys and Girls Clubs of America, UNICEF, the Make-A-Wish Foundation, Share Our Strength and GLSEN. Since 2005 when NBA Cares was launched, the league and teams have raised more than $260 million for charity, provided more than 3.3 million hours of hands-on service, and built more than 970 places where kids and families can live, learn or play in communities around the world. Russell Westbrook, point guard for the Oklahoma City Thunder, is one such service role model in the NBA who has set up the Russell Westbrook Why Not? Foundation to inspire kids around the world and help teach them to never give up. This organization is dedicated to supporting community based education and family service programs while encouraging youth to believe in themselves. 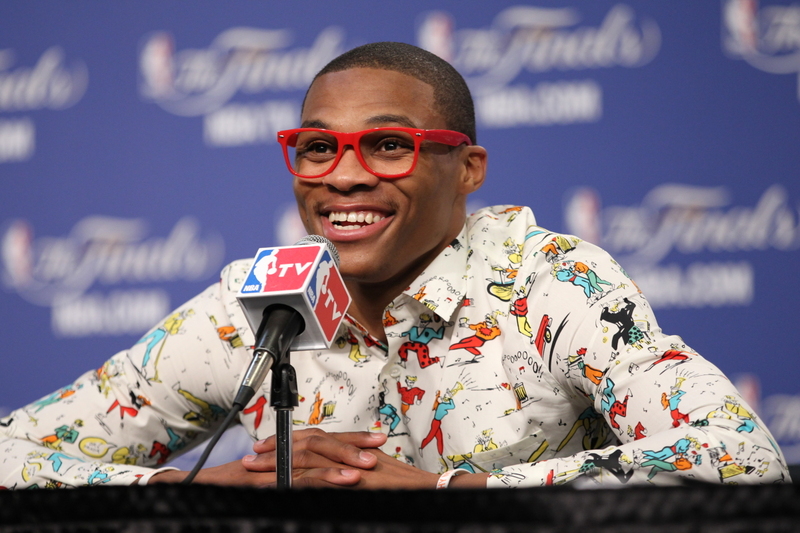 During the 2014-15 season, Westbrook along with his organization opened new reading centers called “Russell’s Reading Room” in three Oklahoma City public schools, providing 1,200 new books. Westbrook also presented a local Oklahoma City single mother of two children with the new Kia car he won as the 2015 All-Star Game MVP. These organizations are set up to inspire individuals to create new experiences and develop new skills through volunteerism. Community service and charity has the power to give life satisfaction, create special relationships with the individuals within the community, and allows an individual to directly impact the status of a community. The NFL and NBA strive to create this noble and generous environment through the many community partners they sponsor. These sports organizations use the media attention to try and make the world a better place by inspiring viewers to get involved and to do their part in helping their local communities. I encourage all who serve to reflect on why service is important to strengthening an individual’s foundation, but also to see how it can help shape a positive image for an individual or an organization. The Richter’s Center Ambassador’s mission is to create a positive perception of community service to encourage others to serve and to highlight the goodness that students and organizations achieve through helping others around the community. How do you perceive community service?